Actor Interviews, Exclusives, Fantastic Beasts Movie, Films, HP Cast, Interviews, Leaky, Miller, Movies, News, SetReports, Warner Bros.
It’s always a pleasure to speak to Ezra Miller, who greets us by asking how we enjoyed seeing the streets of wizarding Paris, and telling us he almost ‘lost [his] cool entirely’ when he first saw it! We were lucky enough to interview Ezra about his return as Credence in Fantastic Beasts: The Crimes of Grindelwald, and discussed everything from the abusive relationships Credence has suffered through, to Ezra’s disappointment at not being in any Hogwarts scenes! Ezra’s Panel is less spoilerific than the other interviews (he tells us “I’m very cautious of being a good Secret Keeper”! ), so this coverage is ideal if you’re trying to avoid seeing major plot points, etc. “I would say that he is both free and burdened in new ways. Obviously, there is an element of self-awareness, that brings both of those factors into play. So he’s free of a lot of the confines he’s known, and he’s free of a certain sense of uncertainty that he’s known. But with the consciousness of his reality comes also heavy burdens, and obviously, he’s a bit of a ticking time bomb given his particular magical condition. At the time of our set visit, filming was beginning, so just how much do the cast know, going into the filming process? “The Circus Arcanus. “Circ-oos Arcan-oos. Obviously the histories of side shows are disturbing ones. This era — that world would have been a world of a lot of heavy exploitation. Definitely some animal cruelty. At the very least, PETA would have been displeased. 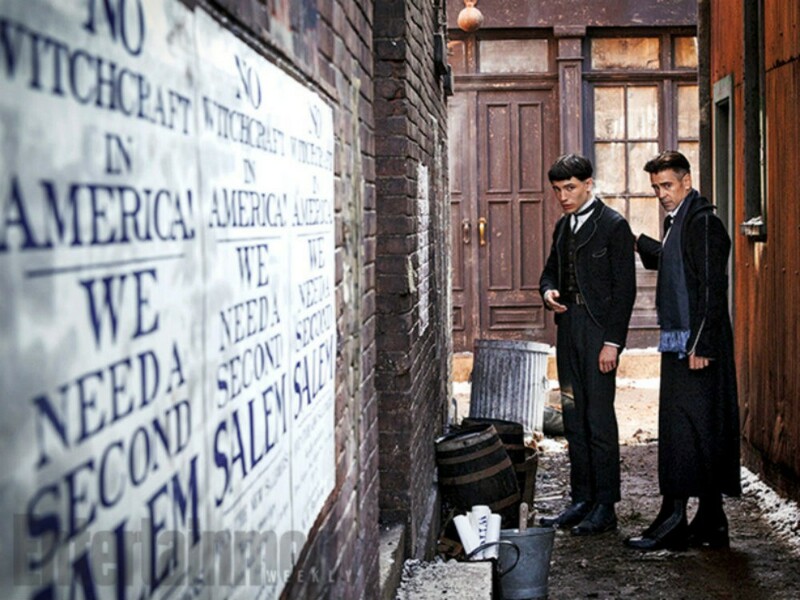 Credence was manipulated and neglected heavily for many years, as seen in the first Fantastic Beasts film, and Graves (or Grindelwald) only further increased his distrust of people – did Ezra consciously portray the relationship between Credence and Grindelwald as one of abuse? “We’ve seen sort of only fragments of a story in which Tina did care for Credence, and that was a rare and noted instance in Credence’s story. But again, when you really think about it, what does Credence actually know about that human being or where she comes from? I mean, the last interaction was a deeply confusing one where there a lot of things going on on the subway tracks, you know? Be sure to check out our interview with Colleen, who discusses costumes in Crimes in detail! 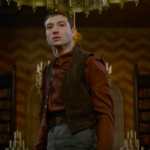 He’s obviously a big Potter fan, but sadly (for fans and Ezra), Credence will not be seeing Hogwarts in Crimes, which means Ezra didn’t get to, either – he’s not bitter at all! “I’m excited about a bunch of set pieces. Which ones can we talk about? One of them I missed was I know I can talk about this because no one could keep this one in the bag, is Hogwarts. 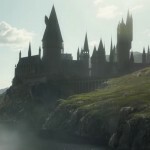 There’s some Hogwarts which spoiler alert. I’m not in. It’s fine. No, it’s fine. Um — I thought — yeah, I — I thought I would try to sneak on, you know, sneak into the back of a class. Um, it’s very hard. They have a lot of protections. “Why are you doing this? You’re just pouring lemon on an open wound. You know, that Himalayan salt you’re grinding it in a deep wound right now. “What the chocolate frog are you talking about?” feels like a line right out of Starkid’s A Very Potter Musical, and even though we’re sad Ezra didn’t get to fulfil his dream of going to Hogwarts, we’re at least glad we got a new catchphrase to use! With that wonderful outro, Ezra was back to set, and we were off to interview Colleen Atwood! Catch our report from the Art Department with Martin Foley here, interviews with the Prop Department’s Pierre Bohanna and director David Yates, Eddie Redmayne (Newt Scamander), Callum Turner (Theseus Scamander), and costume designer Colleen Atwood! Leaky would like to thank Warner Bros for this exclusive coverage of yet another instalment in J.K. Rowling’s Wizarding World, and Ezra Miller for providing laughs and spending time talking to us more about ‘Crimes of Grindelwald’!